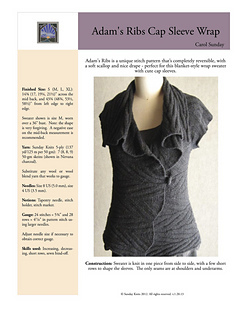 Adam’s Ribs stitch pattern is completely reversible, with a soft scallop and nice drape - perfect for this blanket-style wrap sweater with cute cap sleeves. 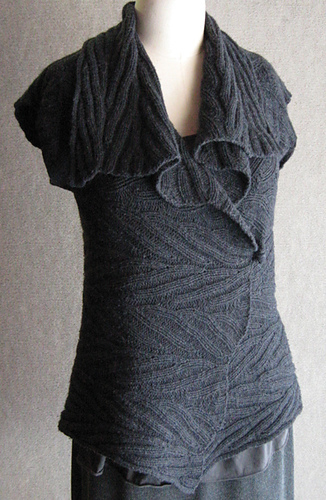 Sweater is knit in one piece from side to side, with a few short rows to shape the sleeves. 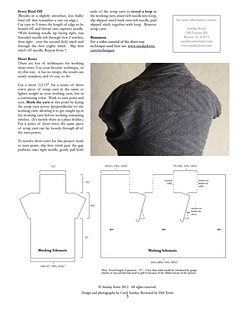 Finished Size: S (M, L, XL) to fit chest sizes 28-32 (33-37, 38-41, 42-45). 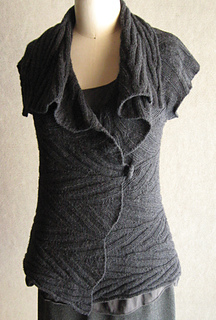 Sweater shown is size M, worn on a 36” dress form. 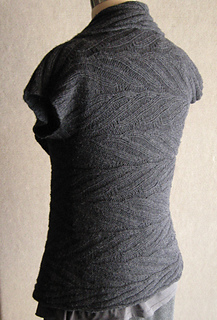 Gauge: 24 stitches = 5-3/4” and 28 rows = 4-3/4” in pattern stitch using larger needles.